Driving while under the influence of alcohol comes with the risk of life-changing consequences ranging from penalties and jail time to severe personal injury and even death. In the United States, Maine is one of only five states without felony DUI laws for convictions, but a recent initiative by the South Portland police aims to discourage drunk driving with the help of social media. Chief Edward Googins told the Portland Press Herald that the department is using its Facebook page to highlight the serious nature of drunken driving, a crime that carries devastating ramifications for both the perpetrator and its victims. Last month, the department posted five mug shots that included recaps of the OUI (operating under the influence) arrests to its Facebook page in an effort to publicize the crime, and discourage others from getting behind the wheel when intoxicated. While a few people commented that such “public shaming” was inappropriate, the vast majority supported the cause. As leading Maine accident attorneys, the law firm of Hardy, Wolf & Downing supports this initiative as a means to discourage drunk driving and keep our state’s roads safe this summer and beyond. We stand committed to advocating on behalf of drunk driving victims in Maine, and hope that this program draws much needed attention to a deadly behavior that claims hundreds of innocent lives each year. The Portland Facebook postings occurred on the heels of the arrest of Momenjan Abullayof, who was charged with drunk driving and endangering the welfare of a child after he crashed into a utility pole with his seven-year-old in the car. The posts were left on the site for a few days and taken down, considering legal status can change if the case is dismissed or the perpetrator is acquitted. Lt. Frank Clark says that each Facebook posting contains a disclaimer that the defendant is innocent until found guilty in court. Since they began posting mug shots, the police department’s Facebook page has been inundated with comments, most of which have been positive. One Mainer who supports the program includes Laurette Burgess Russell, who was rear-ended by drunken driver a decade ago, narrowly escaping severe injuries. The driver reportedly had an open bottle of tequila in his car, and plowed into the back of Russel’s vehicle, pushing the gas tank into her back seat. Russell says she is haunted by the thought that her toddler could have been killed if he had been riding in the car with her that day, and feels that posting OUI mugshots on Facebook is a fine idea. OUI arrests may also include those charged with driving under the influence of drugs or a prescription pharmaceutical that would render them unsafe behind the wheel. He added that the South Portland department also publicizes other arrests via social media under certain circumstances. Since the start of 2015, the department has made 350 arrests in the Portland area, 42 for OUIs. 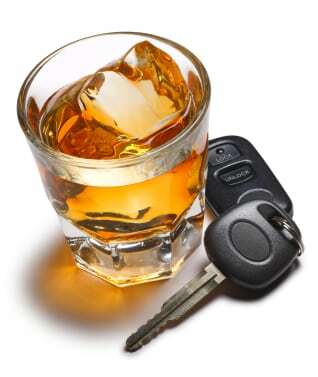 Just like Mothers Against Drunk Driving (MADD), the legal team at Hardy, Wolf & Downing believes that drunken driving is crime that is 100 percent preventable. If you or someone you love has been injured or lost a loved one as a result of drunken driving, litigation is an effective means to pursue compensation and hold negligent drivers accountable for their actions. A personal injury claim can recoup losses incurred from property damage, medical bills, lost wages, loss of financial support, pain and emotional suffering and other related damages. For nearly 40 years, our Maine car accident lawyers have been helping victims secure just compensation through the courts. We leverage our experience, resources and legal savvy to help you get on the road to recovery. To explore your legal options in the wake of a DUI accident in Portland, Auburn, Bangor, Lewiston, or elsewhere in Maine, call us toll free at 1-800-INJURED.